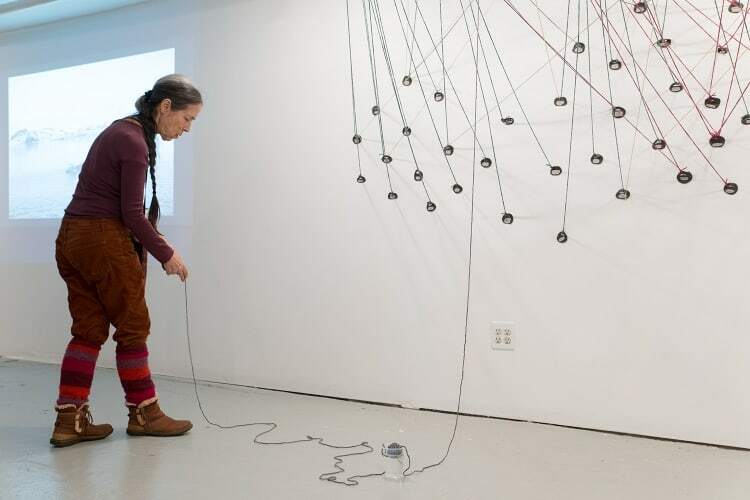 BHQFU, New York’s Freest Art School, is pleased to present ​TRIALS ON AN ARCHIPELAGO​, a residency, seminar, and exhibition focusing on ​Ensayos​, a nomadic research program based in Tierra del Fuego (TdF) at FUG (Foundation University Gallery). Since 2010, ​Ensayos ​has brought together artists, scientists and other thinkers and doers to address issues of land use, ecology and ethics at the end of the world. 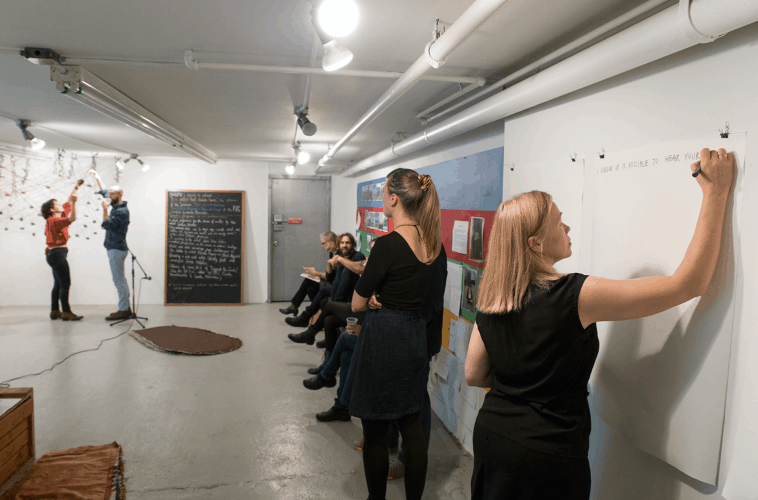 During October and November, FUG will serve as Ensayos’ New York basecamp—part residency, part exhibition and part seminar. 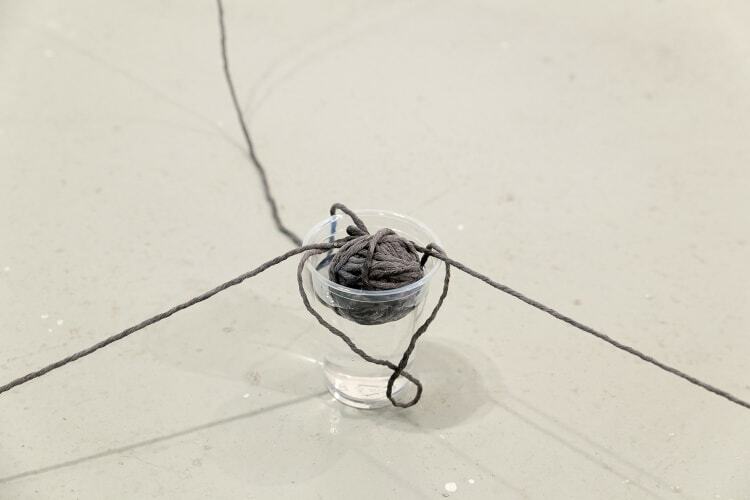 The seminar, led by curator Camila Marambio,​who founded and directs Ensayos, looks at research or project-based artistic practices using Ensayos as a working model. 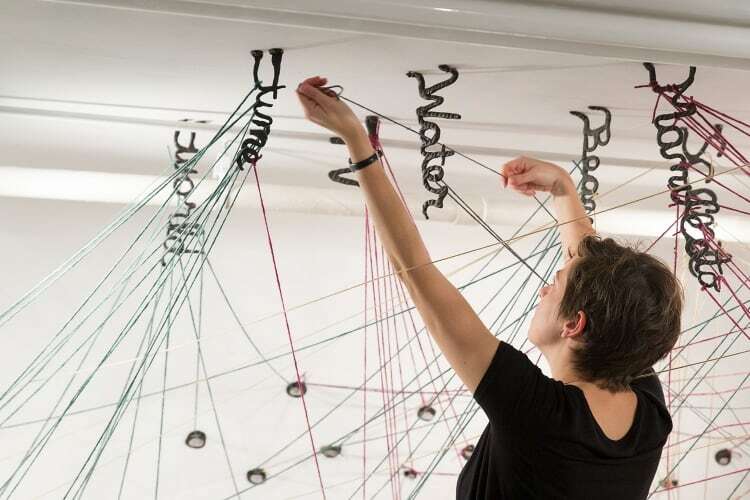 Throughout the month, a web-like installation will grow in the space, combining elements of artist Christy Gast​’s research on plant-based textile dyes and sociologist Denise Milstein’​s social network mapping. 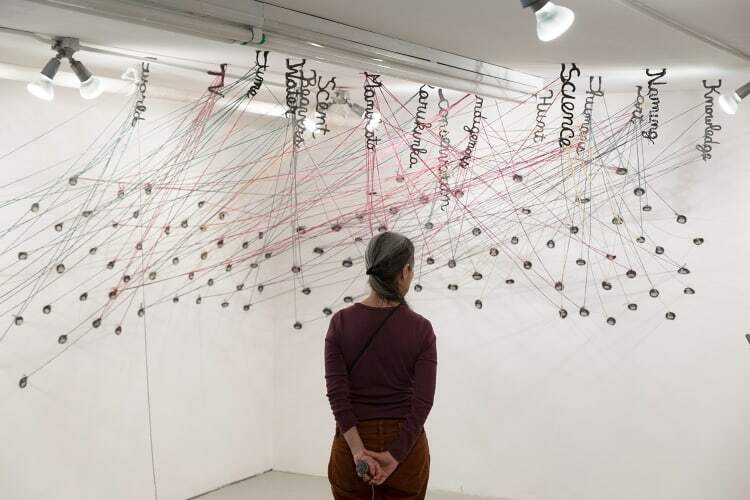 The formal elements of this narrative web are determined by chance (colors derived from the forest) and technology (a coded data set), and reflect input from many voices, highlighting the questions of authorship that arise from complex, multidisciplinary collaborations. 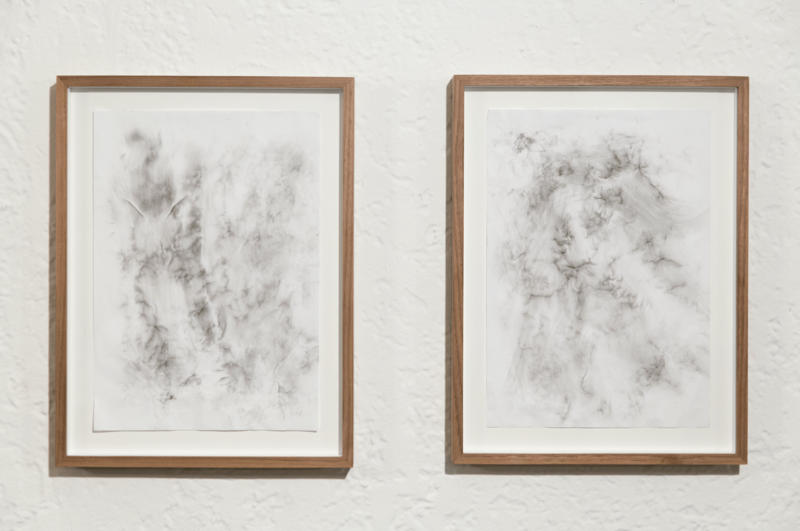 The FUG residency opens Ensayos’ process to the public, functioning as a space to give form to an evolving set of inquiries. 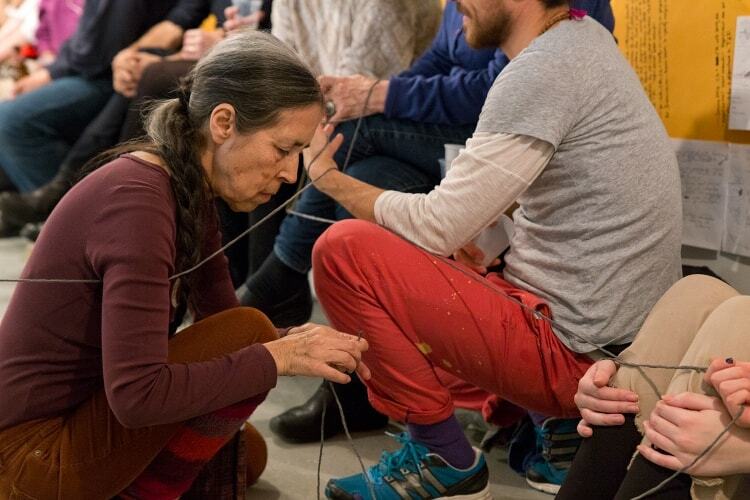 – A ritual performance for the dream of water by the artist Cecilia Vicuña. 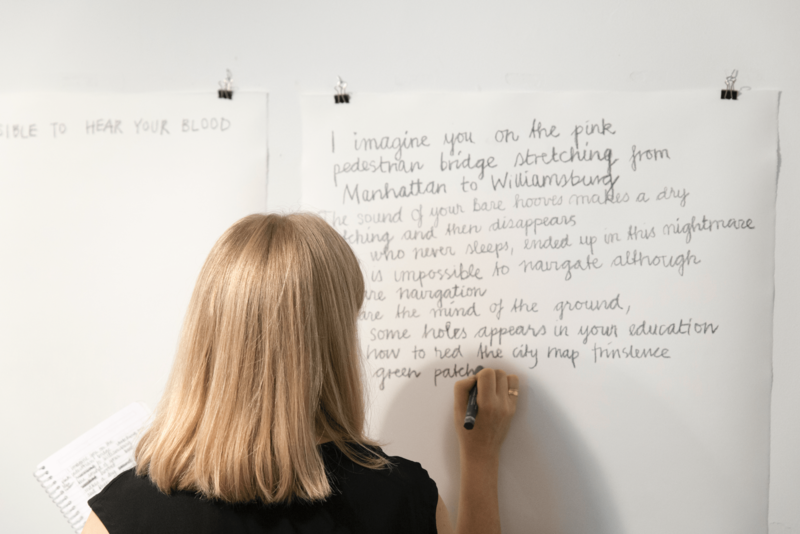 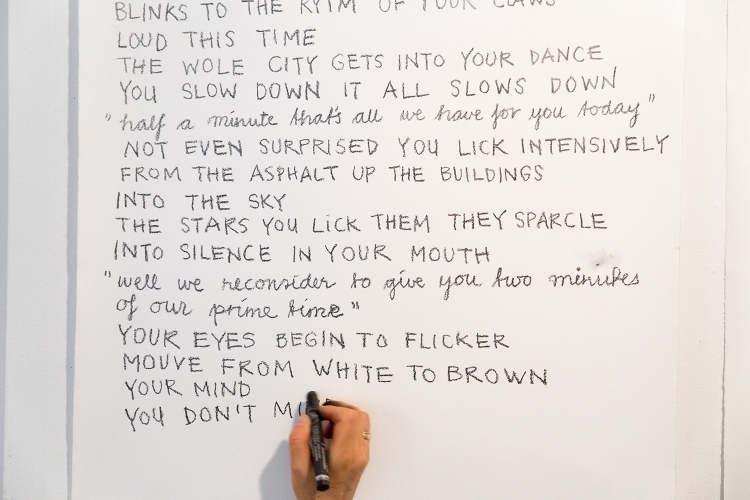 – A reflection on the essay My animals told me to keep my mouth shut and listen, but my ears are small and can barely move by the artist Søssa Jørgensen. 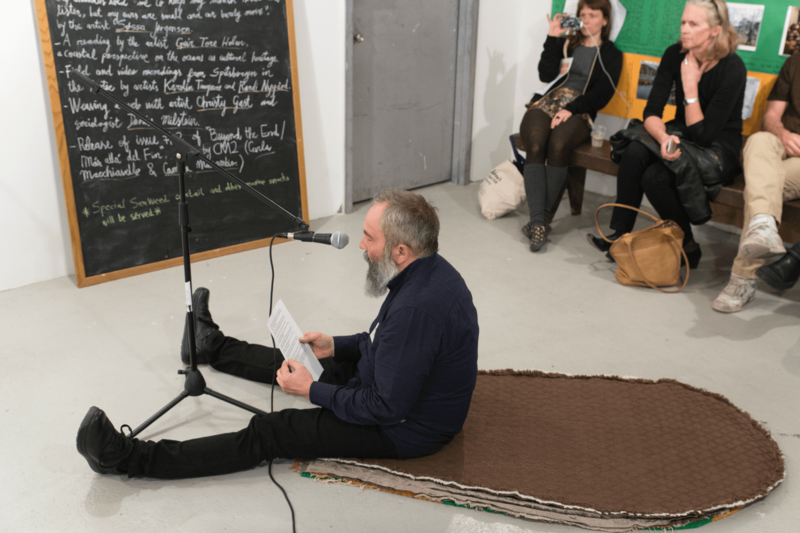 – A reading by the artist Geir Tore Holm, a coastal perspective on the oceans as cultural heritage. 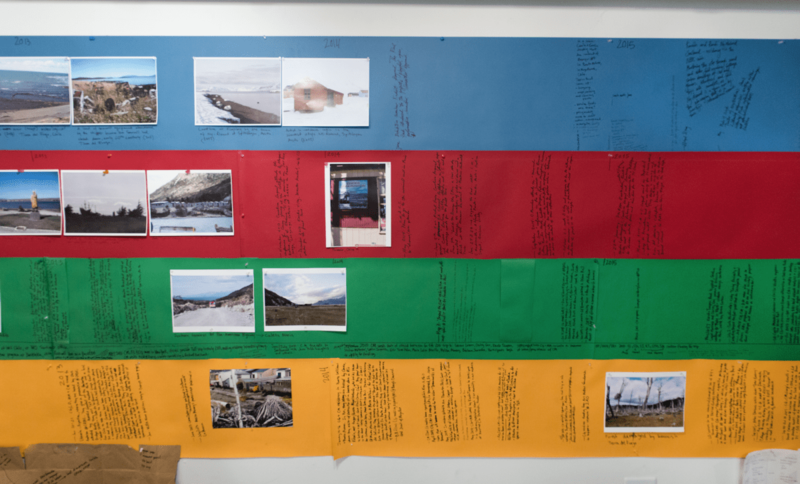 – Field and video recordings from Spitsbergen in the Arctic by artists Karolin Tampere and Randi Nygård. 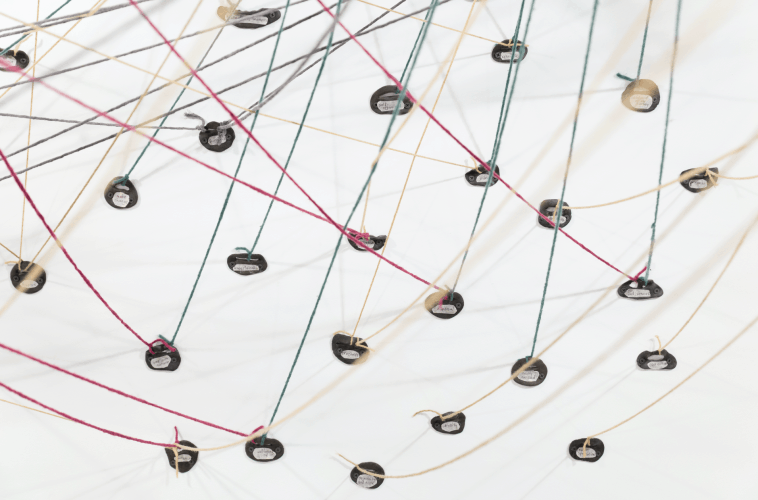 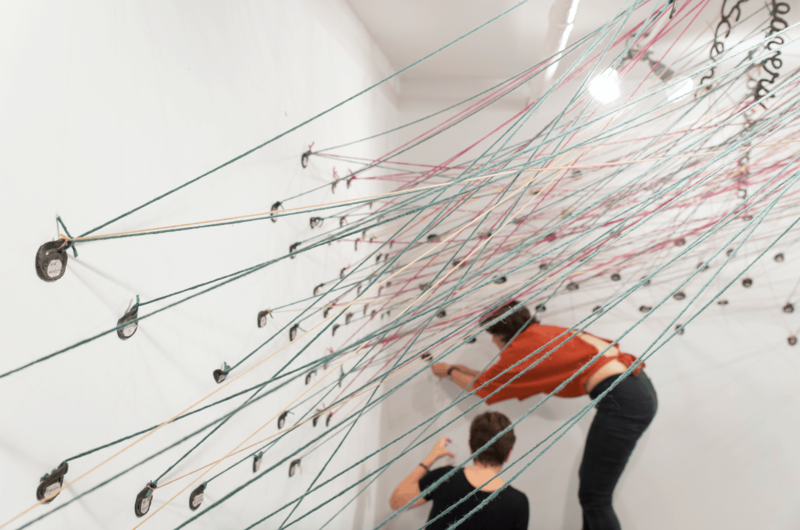 – Weaving a web with artist Christy Gast and sociologist Denise Milstein. 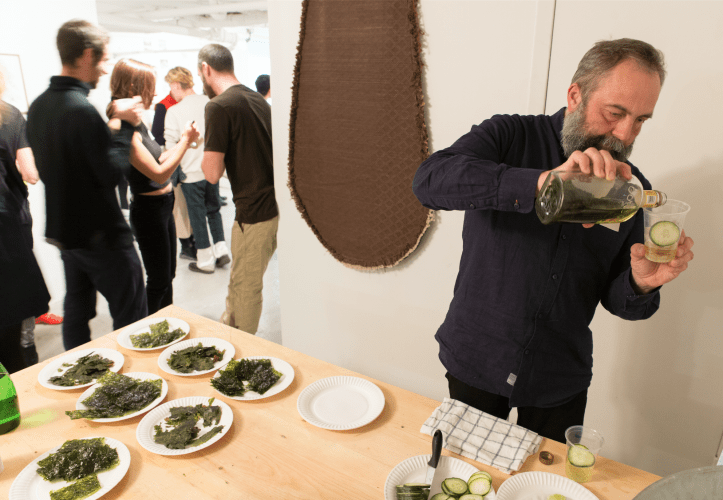 ***Special seaweed cocktail and other marine snacks will be served.